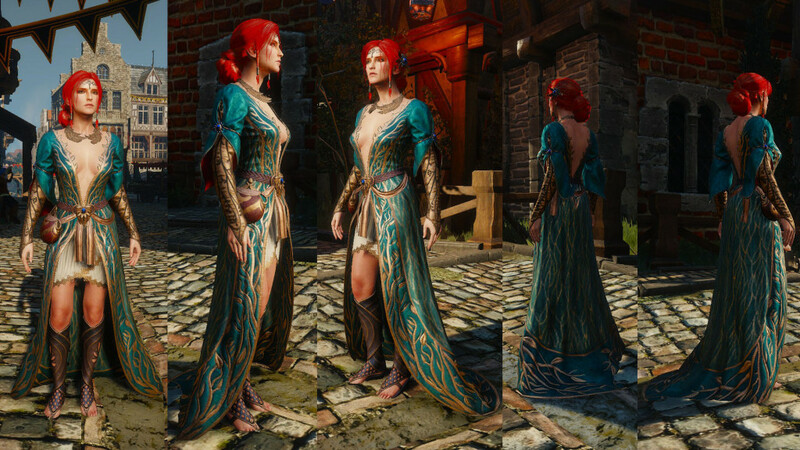 This is the alternate dress from Triss Merigold from the Witcher 3. 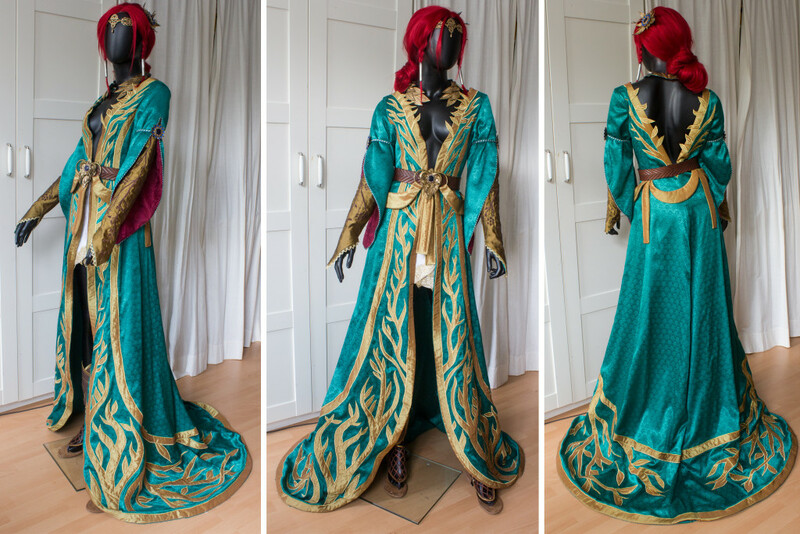 This cosplay was on my wish list for such a long time and I am so happy that I finally brought it to life. I think the most challanging part was to find the right fabrics. 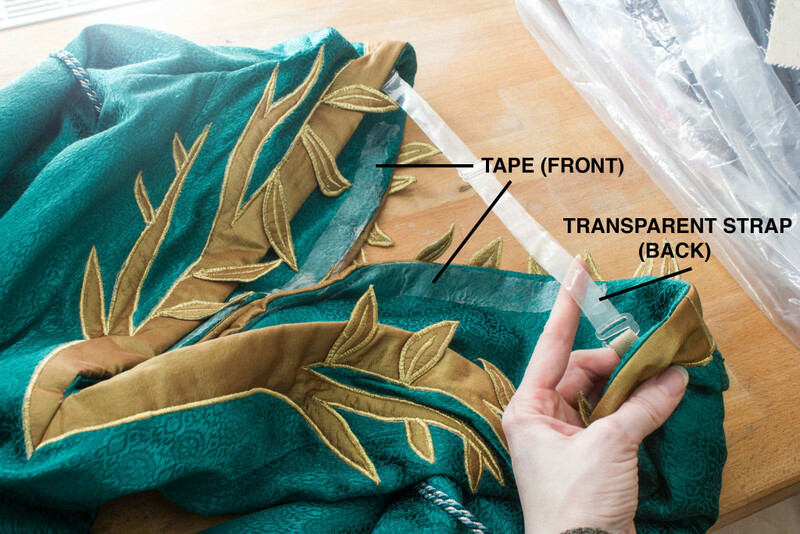 Of course sewing the dress and crafting all the jewelry was a lot of work, but when it comes to find the perfect fabrics I am such a perfectionist. So I went to I sooo many fabrics stores and found everything I need… exept of this turquoise fabric for the dress. 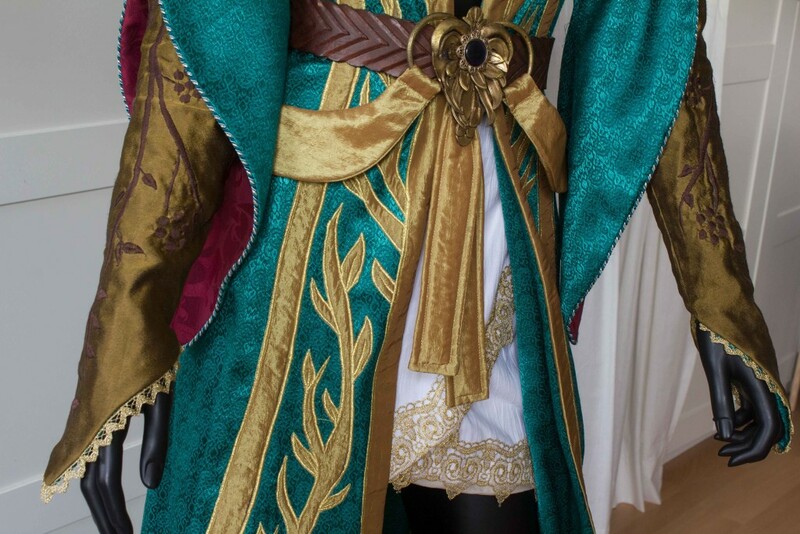 I was so frustratet because also in the internet I did not found a fabric that looks like the one on the reference picture and I thought I had to cancel this cosplay. But my lovely friend Lenora Costumes rescued me! 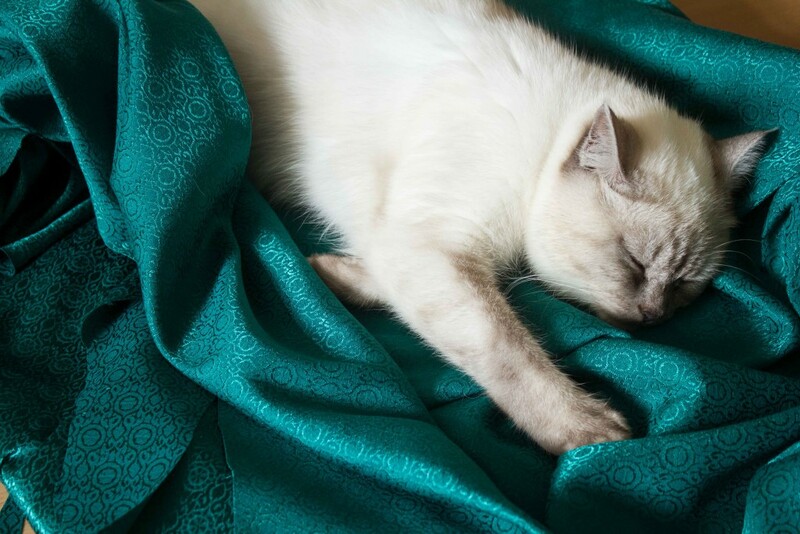 While she was looking for some fabrics for her Yennefer cosplay she found a beautiful turquoise jacquard. The funny thing is, that I also was in this fabric store the previous day. Sometimes it is just destiny. 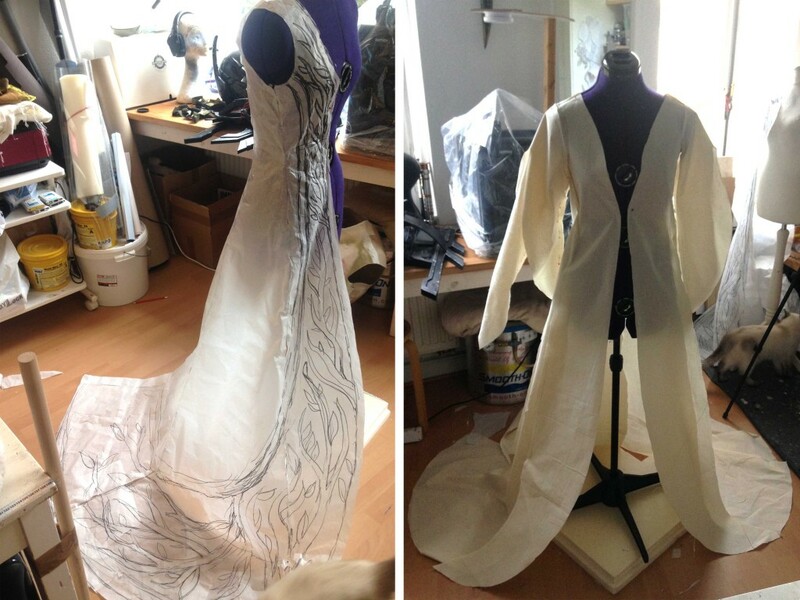 As always I first made the patterns. I always make them myself, the last years I realized that all patterns you can buy does not fit me very well, so I have learned to create them by my own. After finishing the paper patterns I sewed a mock up out of very cheap fabric to make sure that everything fits perfectly. Amy loves it when I come home with new fabrics. 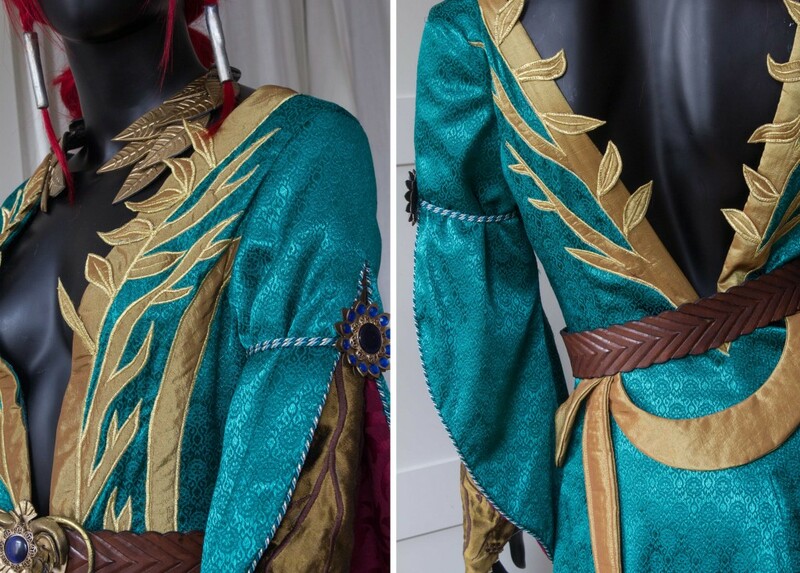 Because I had only 9 days to finish this costume I totally forgot to make more progress photos, so these are the only ones I took while I was super busy. 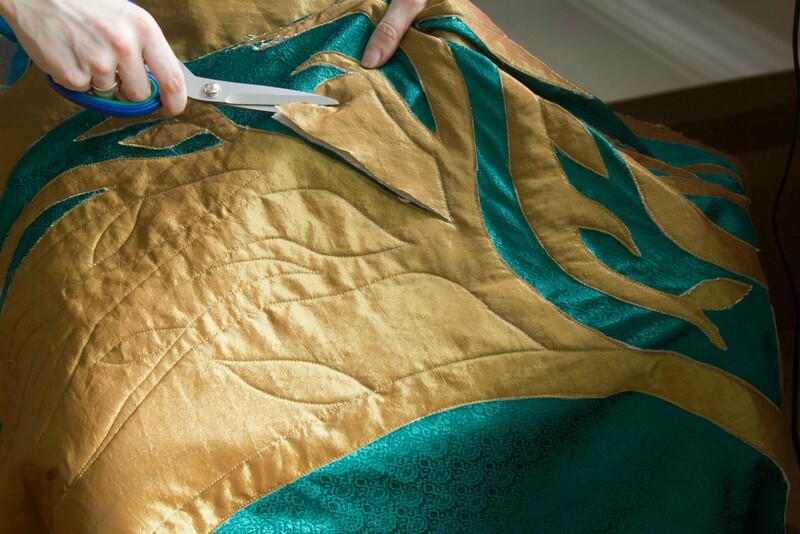 The most challenging part of the dress were the gold tendrils. 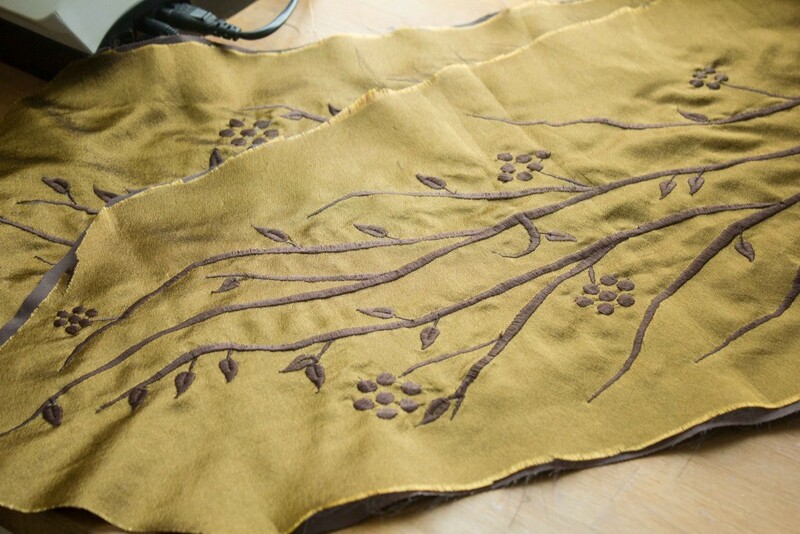 I don’t own an embroidery machine but a very good sewing machine that have nice stitches (for example the leaf stitch). So I’ve made this tendrils, flowers and leaves with my normal sewing machine. 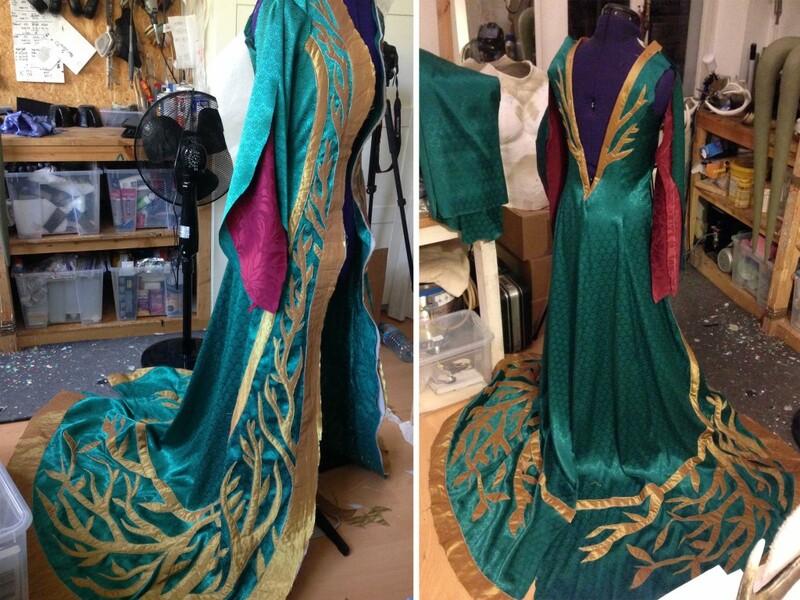 This dress is a good example for cosplays which do not work in real life. The v-neckline at the front and the back make it impossible to wear that dress. So I added this transparent strap from one shoulder so the other to prevent that the dress slips of my shoulders. 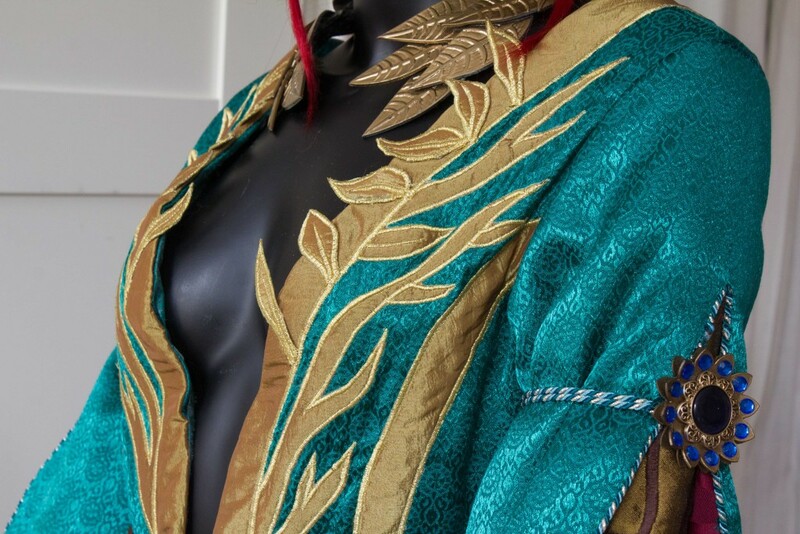 I created all the leaves at the neckline with the same technique used to make the gold tendrils on the dress. 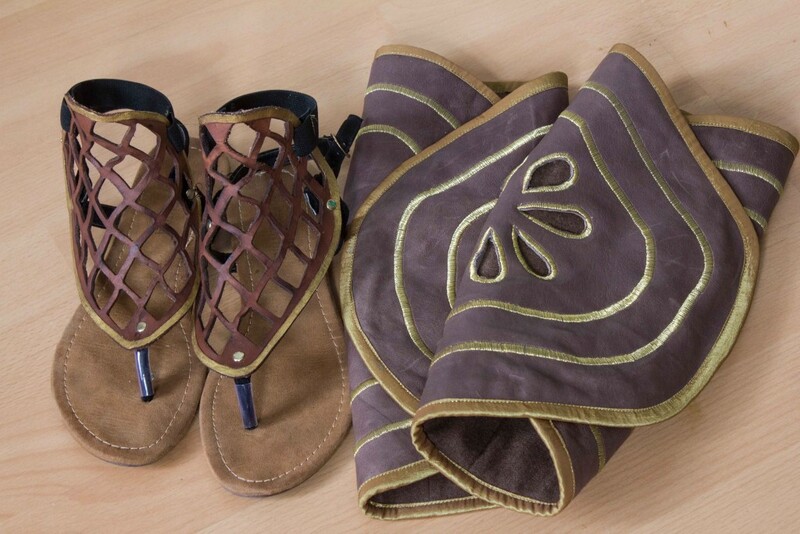 For the shoes I took normal sandals as a base. I cut everything off and added this piece of thick leather which I cut with my laser cutter. I think this is my first cosplay with comfy shoes.